New Life Medical Institute, Inc. (Miami) - Book Appointment Online! 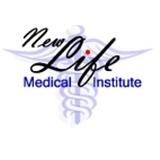 New Life Medical Institute, Inc.
New Life Medical Institute is a four Doctor practice who is fluent in both English & Spanish. New Life Medical Institute welcomes all new patients. All patients are offered excellent health care in a state of the art medical center.